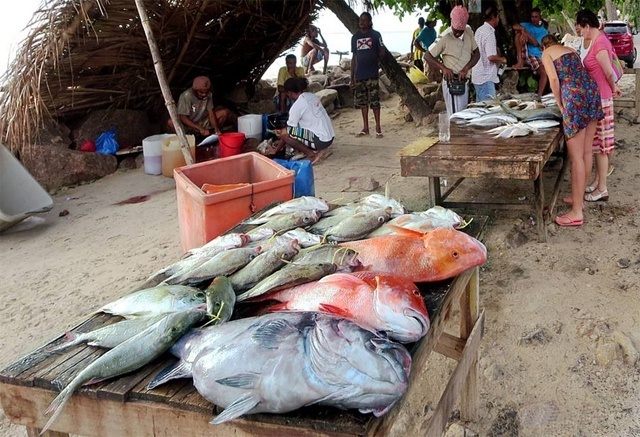 (Seychelles News Agency) - The benefits of fish consumption outweigh any potential harm that may arise from the associated intake of mercury, a Seychellois scientist says. Conrad Shamlaye -- a senior scientist and advisor with the Seychelles Ministry of Health -- made the statement via email after attending a conference in Rochester, New York, in the United States. The result of the findings of the Seychelles Child Development Study made three decades ago was discussed at the conference. “The study’s finding indicates that while there are many issues that impact childhood development, mercury is not likely to be one of them,” he said. The Seychelles population of 93,000 people has a long tradition of eating fish as a primary source of protein and fish is consumed daily in some households. The Seychelles Child Development Study is a research project involving the Ministries of Health and Education and the University of Ulster in Northern Ireland, and the University of Rochester in the United States. The purpose was to study child development and study factors, such as diet, that may modulate associations between mercury exposure and child development. The study, which began in the mid-1986, found that high levels of fish consumption by pregnant mothers do not produce developmental problems in their children. Since it started 5,000 children and their mothers have been enrolled in different groups. The different groups have been seen at different times. “Currently, some 1,500 children at 7 years are being examined at the Child Development Centre at English River Health Centre. The oldest participants are now aged 28 and there are plans to bring them back for further evaluation in the next few years,” said Shamlaye. The study is being led by Edwin van Wijngaarden -- a professor in the University of Rochester Medical Center’s (URMC) Department of Public Health Sciences. Wijngaarden said in an article he wrote that science is the key to solving many of our problems. “It is truly international and interdisciplinary collaboration that demonstrates how the combination of rigorous science and a commitment to taking the long view can help us answer important questions related to health, diet, and child development,” he added. The Seychelles’ archipelago in the western Indian Ocean has been chosen for the survey because of its good health and education services, said Shamlaye. Shamlaye hopes that the research findings are translated into policies and programmes to benefit our children.